Rinus Van de Velde (born in 1983, lives and works in Antwerp) is a leading figure on the Belgian contemporary art scene. His work revolves around the tension between fiction and reality. 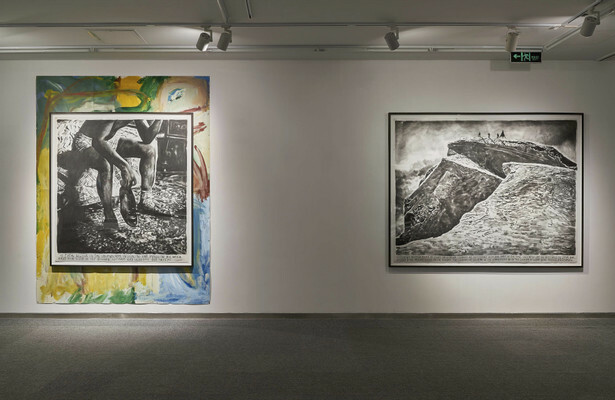 For his first solo exhibition in Asia held at KWM artcenter Beijing, Van de Velde has selected several large charcoal drawings on paper and colourful abstract works to reference major painters of the twentieth century. Using a loose but virtuoso drawing style, he tells the second part of the story of Isaac Weiss (the first part was shown earlier at The Gemeentemuseum in The Hague), a fictive alter ego who runs an artists’ colony. 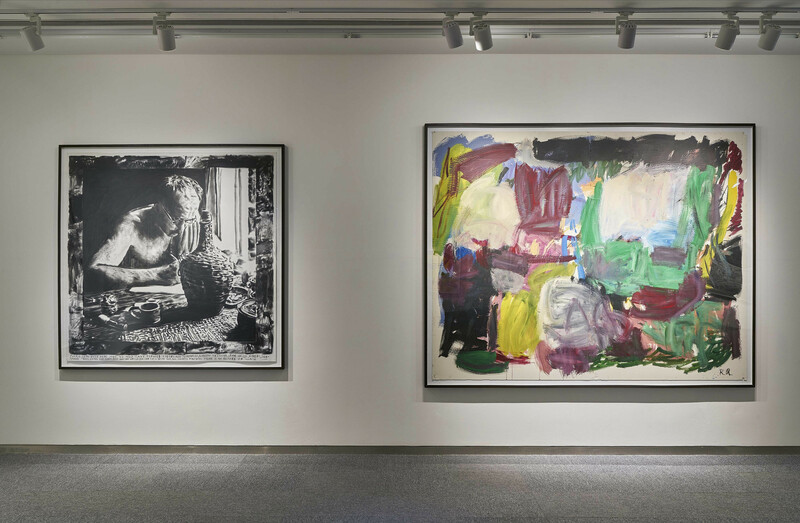 Members of the artists’ colony are big-name artists of the twentieth century, including Cy Twombly, Joan Mitchell and Pablo Picasso. In this series we see the once utopian project of the colony turn into a real dictatorship and gradually fall apart. 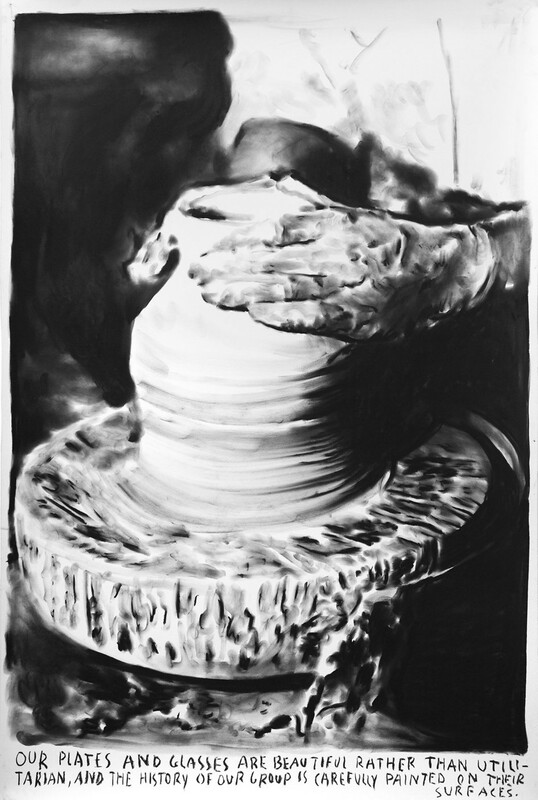 Over the course of the last years, Van de Velde has developed a practice that principally results in monumental, narrative charcoal drawings, but behind which lies a much broader production (of, amongst others, cardboard paintings referencing art history or works produced by alter egos of the artist). Van de Velde combines found and staged photography, performances without spectators, theatrical sets, cinematic narrative techniques, installations, paintings, sculptures and so on. All these elements depict a completely different world, yet also document a very real working process that takes place mainly in the studio. 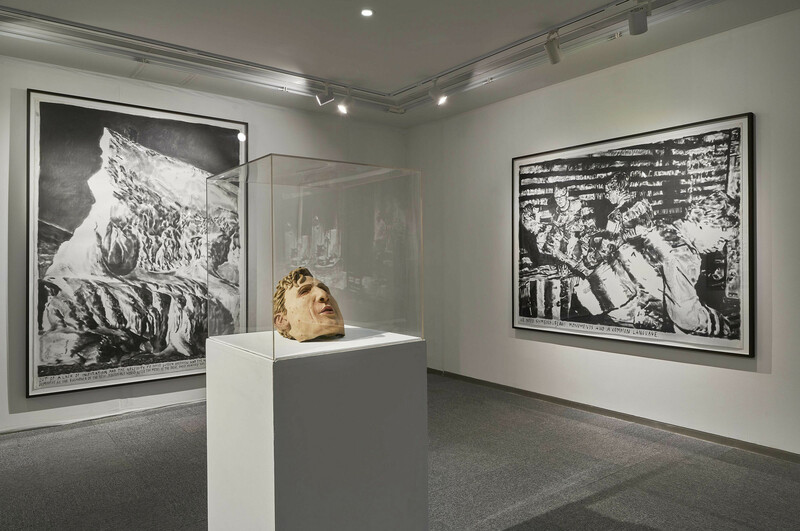 On his drawings and the narrative texts that go along with them, text and image function as a starting point for a fictional (artist) biography in which Van de Velde does not correspond to himself, but rather tests the different possibilities of modern and contemporary art. 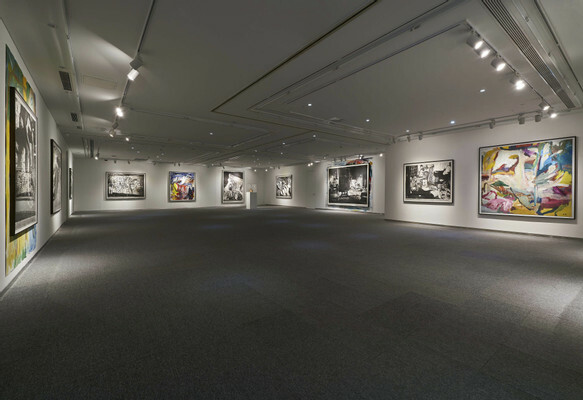 This leads to a productive doubling of his artistic persona: opposed to the “real” artist who chooses to work with well-defined artistic and material parameters in his studio, there is the alter ego who travels across all sorts of (artistic) positions without ever fully identifying with them. Like mirror images without an original, both artists produce each other. A similar tension can be found between the artist’s work space and the world-of-the-drawing: on the one hand, the studio is the actual laboratory where the possibilities that lead the artist are tested; on the other, the fictional scenes in the drawings emphasize their roots in studio experimentation. An actor hired by Rinus is playing the artist and will give a speech on the opening night. He will communicate with the media and participate in events on the opening night dressed up as Rinus and wearing a Rinus mask.